Mervyn Wingfield, 7th Viscount Powerscourt (1836-1904). Sitter: Mervyn Wingfield, 7th Viscount Powerscourt (1836-1904). 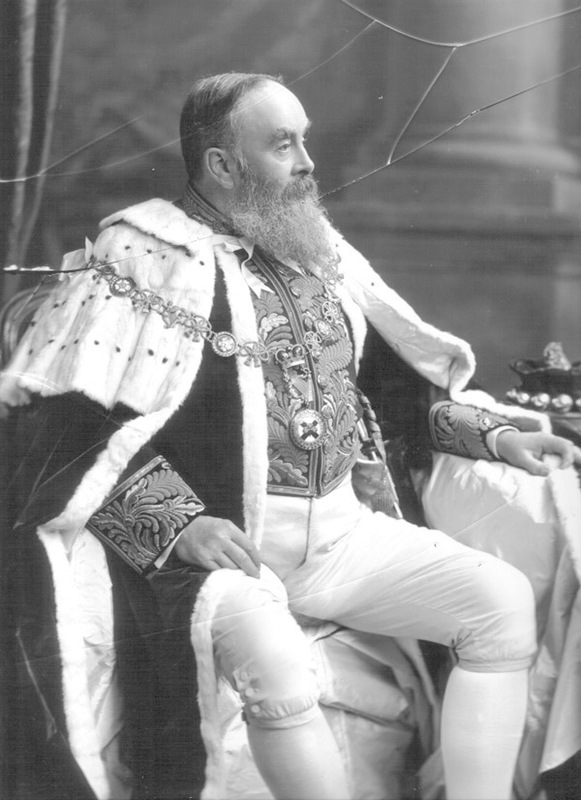 Biog: Irish landowner; antiquarian & genealogist; a Liberal Unionist; Irish Representative Peer 1865-1904; President Royal Dublin Society 1892-1897; acted as a Lord Justice for Ireland 1902. Costume: Peer's robes over Full Dress, Civil Uniform (1st Class). Orders, Decorations & Medals: Collar and badge of a Knight of the Order of St. Patrick [K.P. inv. 2 August 1871]. Furniture & Props: Painted backdrop . Biog: Burke's Peerage; The Complete Peerage; Who's Who; The Times, 6 June 1904, p. 6d. Orders, Decorations & Medals: Burke's Peerage; Peter Galloway, The Most Illustrious Order of St. Patrick, Chichester, 1983.